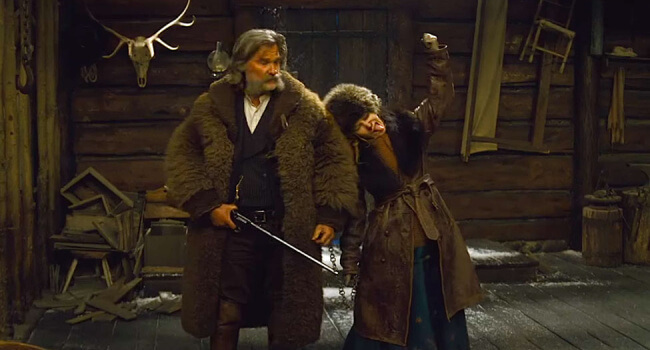 In The Hateful Eight, Daisy Domergue (Jennifer Jason Leigh) is a fugitive captured by bounty hunter John “The Hangman” Ruth, who is intent to bringing her not dead, but alive. What’s worse, they’re accompanies by a second bounty hunter, Major Marquis Warren. They’re delayed however when a blizzard forces them to take refuge in a small stagecoach lodge.